Help – Need more resources to my hosting account. You are here: Home / tips / Help – Need more resources to my hosting account. Hello, I have been using shared hosting for 5 years now with my wordpress blog. Around a year ago, my account was suspended after CPU usage was too high. I made changes and didn’t have any more problems until recently. My traffic is growing, and I’m now unable to run the plugins that I want without risk of the CPU usage running too high. So, I know that I need an upgrade, only I’m not too sure to which type of plan. I hosted my images elsewhere and I only want to run plugins that uses slightly higher CPU, and that’s the problem. I have been told that a dedicated server would solve my problems – but it cost a lot in price. Is there a middle solution for this ? Do you think a VPS could solve my problem, at which level ? 1) If your site is not optimized, then even a VPS or a Dedicated server may cause trouble for you! 2) If wordpress plugin causing trouble for your site, try disabling them one by one and check which one is the culpit. 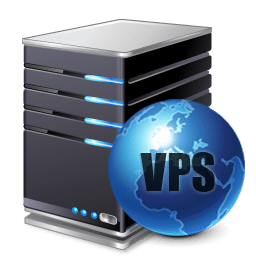 3) VPS usually sufficient for most websites that upgrade from shared hosting. I would suggest you to start with VPS with 512MB ram, and upgrade as you need it.